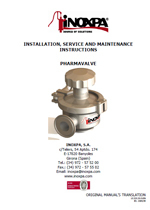 The Pharmavalve is a radial diaphragm valve, manually or pneumatically operated, specially designed for critical processes where any contamination, dead leg zones or leakage are to be avoided. 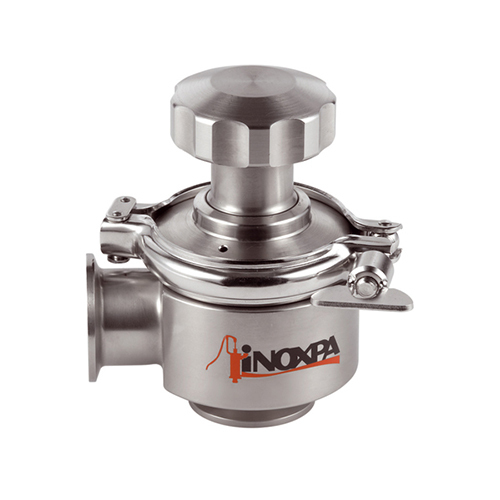 Thus, the valve is suitable for hygienic and aseptic processes in the pharmaceutical and bio-pharmaceutical industries as well as in clean rooms. The Pharmavalve combines the features of the traditional piston valves (manually or automatically actuated) with the aseptic safety of the common diaphragm valves. Due to the axial movement of the piston, the diaphragm gets closer to the body closing or opening the valve. The valve piston is housed inside the diaphragm. 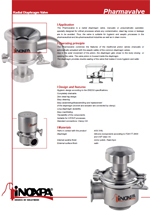 The diaphragm provides double sealing of the valve that makes it more hygienic and safer. Easy assembling/disassembling and replacement of the diaphragm (bonnet and actuator are connected by clamp). Pneumatic actuator: single acting (normally closed) or double acting. PTFE (except ½” size) or silicone diaphragm. One or two proximity switches. Control by external solenoid valves. Material and surface finish certificates.